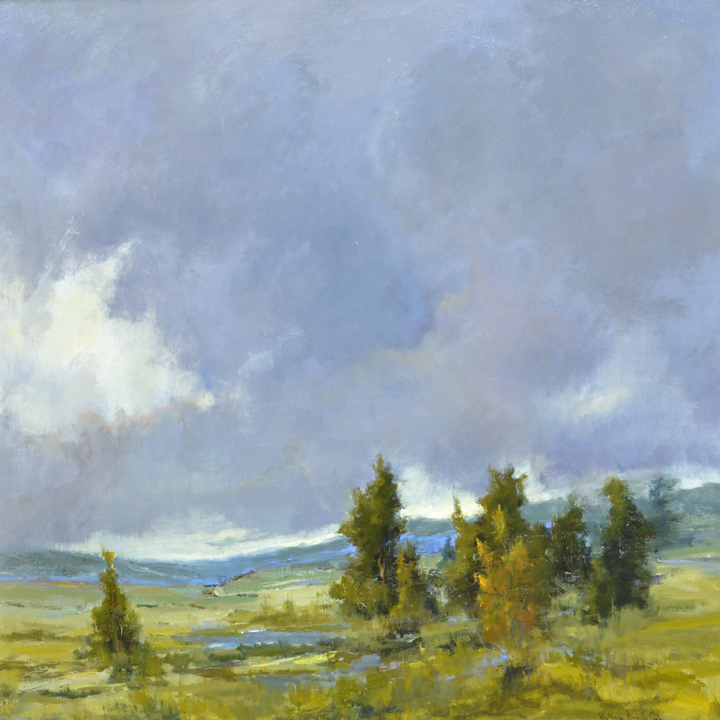 Atmospheric perspective is a visual phenomenon that occurs when we view a landscape. A very simple way of understanding the phenomenon is through the phrase, “fading into the distance.” When we view a landscape, the objects in the distance lose contrast and detail and gain a blue hue. Essentially, this happens because the actual particles of the atmosphere–dust, humidity, pollen, air pollution–obscure the clarity of these objects, and the light becomes scattered. These particles also reflect the color of the sky (typically, blue, although some exceptions include sunrise and sunset) and give these objects in the distance a blue tint. Most of us have seen atmospheric perspective in action when looking at far-off mountains or hills. 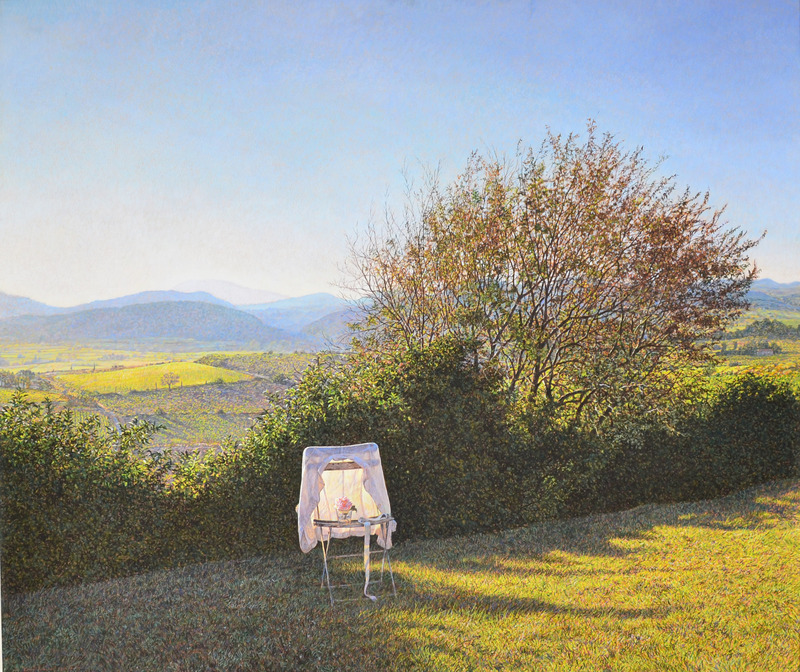 In art, atmospheric perspective (sometimes called aerial perspective) is especially useful for helping to emphasize distance and vastness in a two-dimensional depiction. Like so many other aspects of art, this feature really started to appear in paintings during the Renaissance. Atmospheric perspective was especially notable in the portraits and figurative works painted by Leonardo da Vinci–just check out the distant blue landscape in the background of the Mona Lisa! It is an effect that became pervasive in nearly all types of landscape painting across cultures and for centuries after, and is still frequently seen in painting today. 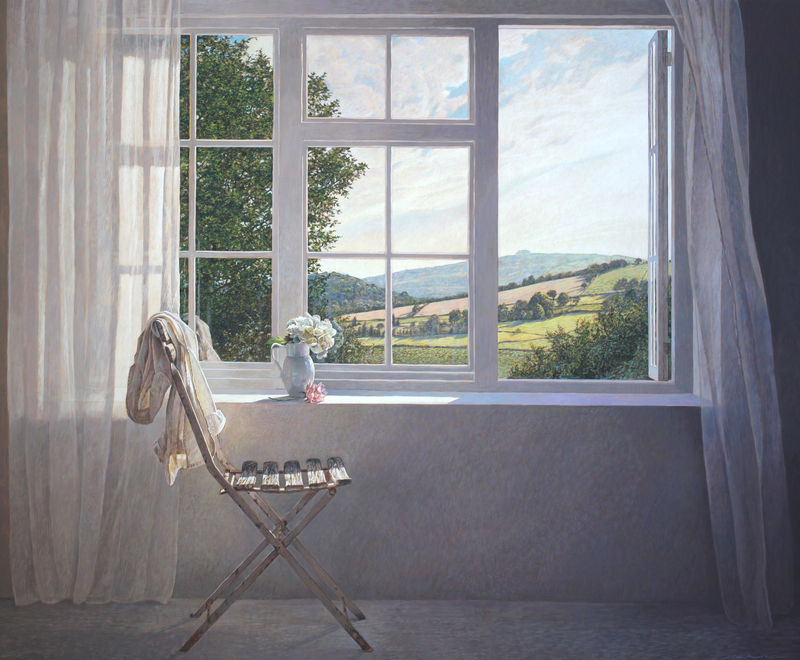 A great many gorgeous paintings here at Principle Gallery contain atmospheric perspective, and today we’ll take a look at just a few, including some from the now open Colin Fraser solo exhibition, “Inner Light”–click here to view the whole show online!